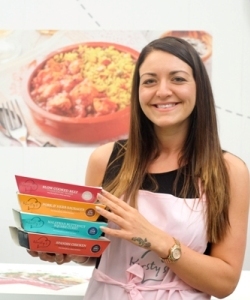 Kirsty Henshaw is the Creator of Kirsty’s, a range of free from and fabulous ready meals. She is the entrepreneur best known for her memorable, emotional and most successful pitch ever seen on Dragon’s Den (July 2010). The then 24 year old single mum electrified the Den with her passion, commitment and gritty determination to succeed, and she secured £65,000 investment from Peter and Duncan in return for a 30% stake in what was then called Worthenshaws, her frozen dessert business. She has now bought out Duncan and Peter and the company has an annual turnover of over £4 million. 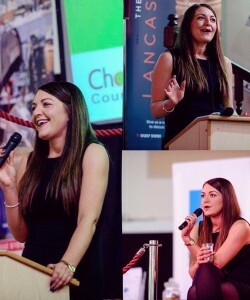 A hugely inspirational, confident `can-do` young woman, Kirsty Henshaw is passionate about nutrition, she enjoys educating people about why healthy diets is essential for everyone and she is in much demand as a speaker and media contributor. Her speeches are about her entrepreneurial journey so far, the massive private and personal hurdles she has had to overcome the importance of building great relationships with the people around you and what she has discovered about healthy food along the way. Inspired to create her range of frozen products for her son Jacob who has a serious nut allergy and is intolerant to dairy and gluten, Kirsty Henshaw began experimenting with a little ice cream maker which she bought from Argos in her tiny kitchen at home. Formulating a recipe for success by combining brown rice milk, coconut oil and natural fruit extracts, all renowned for their health giving properties, she knew she had a recipe that children and adults would enjoy as a healthy alternative to ice cream. Fired up by this delicious discovery Kirsty approached a local ice cream maker to produce the products in larger quantities and hired a consultancy to help her create a brand and design a website. She funded this with 14,000 pounds of her own money which she had saved from doing two part-time jobs and also secured £6,000 worth of vouchers from the North West Development Agency through the University of Preston. 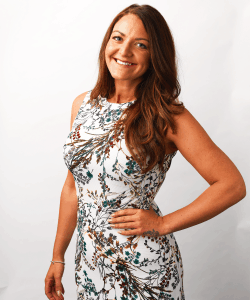 Kirsty was so determined to succeed in business that she dropped out of university where she was studying for a sports therapy degree to pursue her business dream full-time. She first came to the nation’s attention when she delivered the most memorable, emotional and successful pitch ever seen on Dragon’s Den in July 2010. Kirsty’s range of dairy-free, nut-free and sugar-free frozen first launched in all major UK’s supermarkets in September 2010. In 2012 Kirsty’s Ready Meals, a new range of delicious pre prepared meals using healthy food swaps and only the best ingredients for a new way of thinking for the whole family launched in Sainsbury’s and Budgens. In 2013 Kirsty was able to buy Duncan and Peter out and her business is growing at a great rate. So much so she is considering expansion overseas. Rebranding to Kirsty’s in 2014 Kirsty’s free from and fabulous products are now readily available in Waitrose, Sainsbury’s, Budgens, Asda, Ocado.com and selected Boots & Spar stores. Kirsty Henshaw’s business has been compared to the hugely successful fellow Dragon’s Den contestant, Levi Roots and his ‘Reggae Reggae Sauce’ which now sells in excess of ten million bottles a year. 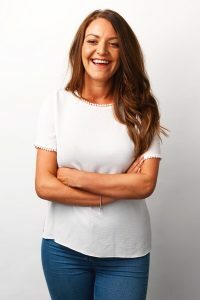 She is looking to sell millions of all her products too and this looks highly probable because Kirsty’s products are highly innovative and offers a solution to a clear niche in the food market. Many desserts on the market contain lots of saturated fats or are labelled as ‘low-fat’ but actually contain a high amount of added sugar or are laced with artificial sweeteners and flavourings. There is a clear need for a range of desserts tailored to people with eating restrictions, allergy’s and for those who just enjoy eating natural and healthy foods. 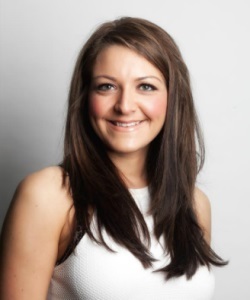 Kirsty is passionate about educating young people about nutrition and is extremely focused on building the Kirsty’s Freedom brand as well as consolidating her position as one of the most inspirational young businesswomen in the country. Kristy’s story is an amazing one – at 29 she has come a long way. Subjects include Dragons Den, Food allergies, why healthy eating is vital to wellbeing, single mum struggles, starting a business from scratch, entrepreneurship, expanding your business, succeeding.